Fortunately, goats don't eat leeks. They do eat kale—bite, gulp, gone. Chewing as they went, Buttercup and Clover explored the garden one day this spring. Oh, the girls and I flapped along behind them, waving and yelping and shooing them toward the gate. But still they managed to munch through blueberry shoots and raspberry leaves and the lovely ruffled Beedy's Camden kale that survived our harsh winter. Friends joke that goats will eat anything. We reply glumly that mostly they just want to eat what we want to eat. But they eat faster. Leeks are one of my favorite things to grow. It's hard to purchase them the way I love them—the size of a pencil. And it is even harder to find something that is so gorgeous in all its incarnations and so friendly to the bees. I always let some go to flower. We are late with our garden this year because the snows were slow to melt, and we had already determined to dismantle the old raised beds and build them higher and stronger. We're also enhancing the fence to dissuade woodchucks and, ahem, certain members of the family who can't control their appetites when they come nose-to-leaf with a goody. Ours has been the ugliest garden on the planet, swathed in chicken wire and crowded and... Out with all that. 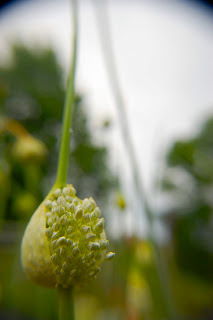 But this transformation has meant that some things are behind sprouting schedule (and the blog and our blog friends have been sorrowfully neglected). 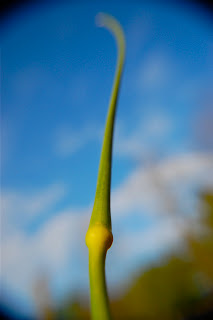 Fern and I finally got the leek seedlings and some seeds planted this week. We always put out seedling King Richard or Lincoln leeks for summer eating. But we also plant Fedco's Bleu de Solaize seeds. They grow all summer, then overwinter with nothing but snow as a blanket. In the spring, they are always one of our first meals from the garden (even this frigid year and despite the goats). One of the simplest ways we prepare them is that old French favorite: Leeks Vinaigrette. My new favorite recipe is from my new favorite cookbook, Around My French Table . It calls for walnut oil in the vinaigrette, and...swoon. 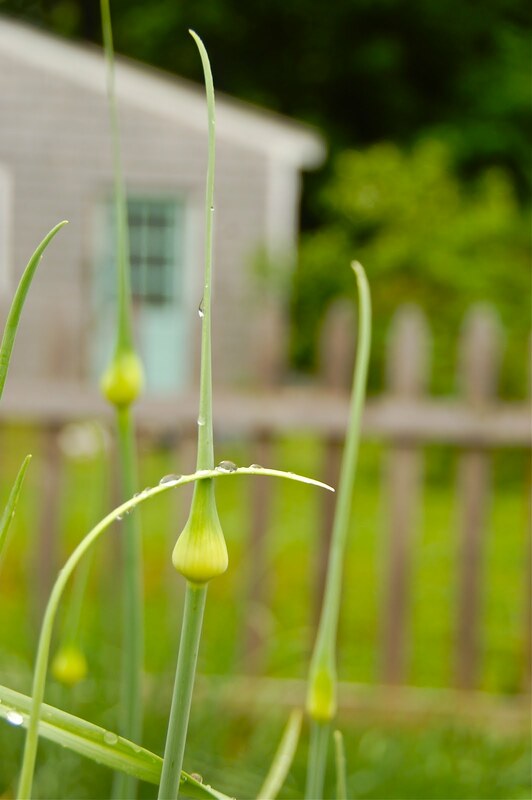 We ease a double fistful of slender leeks out of the garden, then trim their roots, strip their outer leaves and soak them in water. I don't tie them in bundles (as most recipes suggest) but just lay them into salted, boiling water (often in a shallow skillet). When they are absolutely tender (less than ten minutes when they are so fresh and thin), I fish them out of the water and douse them in the vinaigrette. They soak it up as they cool. Eating leeks in vinaigrette is almost as much a celebration of spring as planting the seeds that will be next spring's feast. Happy gardening and cooking, dear friends! We'll be back soon with more on the goats and the little...waddlers we are expecting! And we'll be skipping over your way for more news and to catch up on your gardens and kitchens and families, but please sing out here too. Happy spring at last!